Effortless Driving and powerful performance. Our exotic car collection of Ferrari rentals. Ferrari was created in 1947 since then it has become one of the most iconic sports cars of all time. You can now rent a Ferrari today and have the time of your life. Today renting a Ferrari has never been easier. Diamond exotic rentals offer a wide variety of Ferrari’s for rent. We offer the Ferrari 488 GTB, Ferrari 458 Italia, Ferrari 458 spider, also the new turbocharged Ferrari California T. These are some of the most beautiful exotic cars to drive and also some of the most beautiful cars to look at. Owning a Ferrari can get expensive because the maintenance cost of these cars can add up quickly. Luckily for you, we maintain and keep our Ferrari’s in pristine condition so you don’t have to worry about that large cost. Just make a reservation with one of our Ferrari rental specialist online and you’ll have a beautiful exotic car waiting for you outside. Show up to your next event in style. Rent a Ferrari in Miami, New York, Vegas, Los Angeles, San Francisco, San Diego, Boston, and Philadelphia. How much does it cost to rent a Ferrari? 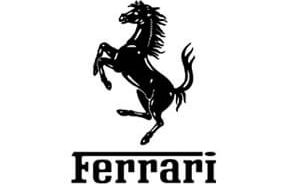 The price to rent a prancing horse is anywhere between $995-$1799 per day. Give us a call and Rent Ferrari today! How much does it cost to rent a Ferrari? The price can range anywhere between $995-$2499 per day depending on which Ferrari rental car you choose. You are also required to have a credit card for the security deposit which can range anywhere between $2,500-$10,000. Enjoy one of the most iconic exotic car brands in the world. When you rent a Ferrari for a week or more we offer special discounts. We also provide short-term monthly leases on all of our exotic car rentals. Why drive the same boring car every month when you could drive a different Ferrari every weekend. You won’t have to worry about storage, depreciation or maintenance cost. Give us a call and we can have any supercar rental delivered to your door when you need it.